PHNOM PENH - Strongman Hun Sen was formally installed as Cambodia’s prime minister for a new term on Thursday, after securing all 125 seats in an uncontested vote that was derided internationally. The 66-year-old will preside over a new era of one-party rule in the Southeast Asian nation after the election in July — criticized by Western democracies as unfair — handed his ruling Cambodian People’s Party all 125 seats. The Cambodia National Rescue Party (CNRP), the only credible opposition, was dissolved in the run-up to the vote with government dissenters and activists arrested. 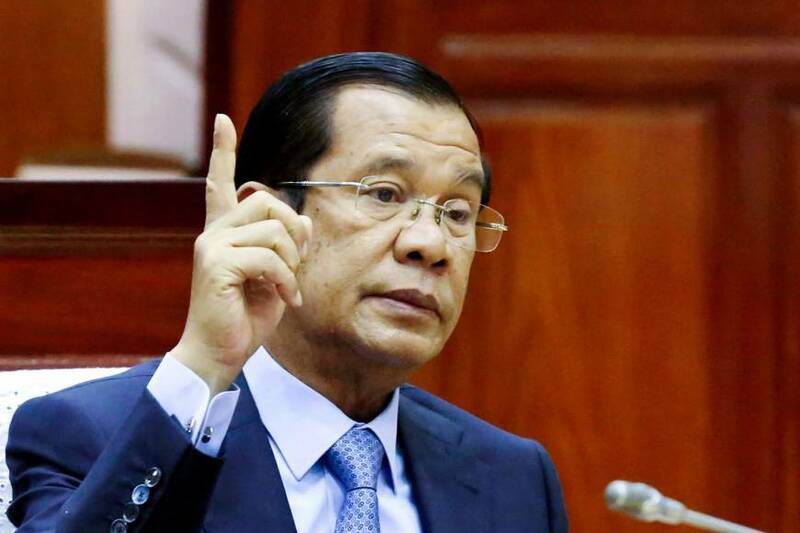 Parliament reconvened on Thursday for the formality of voting Hun Sen back in as prime minister, extending his 33-year rule over the country by another five years. All 125 lawmakers voted by raising their hands to endorse members of Hun Sen’s new government, which includes ministers from the previous term. “Today is an important historical day of the Kingdom of Cambodia,” Hun Sen told the parliament. A former Khmer Rouge commander, Hun Sen has been seen by some as a stabilizing force that helped bring roads and mega-malls to a country ravaged by decades of brutal civil war. But analysts say there has been a rollback of democratic freedoms as civil society, campaign groups and the press were squeezed in the run-up to this year’s ballot. Most notably, CNRP co-founder Kem Sokha was arrested under treason charges in September, and remains detained despite multiple requests for bail. 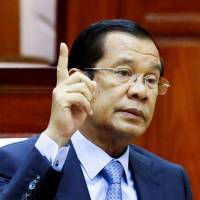 “The one-party parliament does not reflect the real will of the Cambodian people,” it said in a statement.